Transportation Enhancement funds have been used in Washington, DC to restore iconic bridge sculptures at two locations: the buffaloes on the Dumbarton Bridge (Q Street) and the lions on the Taft Bridge (Connecticut Avenue). The Dumbarton Bridge buffaloes were originally cast in bronze by Alexander Phimister Proctor. The bridge was built in 1914/15, and is on the National Register of Historic Places. Over the decades, weathering and acid rain corroded the bronze and turned the buffaloes a greenish color, obscuring much of the original detail in the bronze castings. In 2006, the original buffaloes were restored to their original glory and protected with a wax coating using $49,890 in TE funds, part of over $100,000 raised by the Dupont Circle Conservancy and the Georgetown Citizens Association for the project. 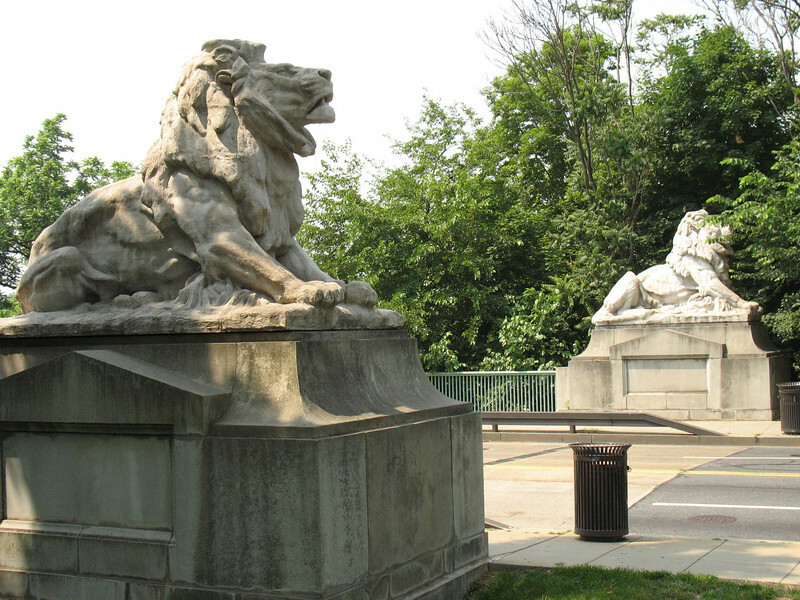 The Taft Bridge lions were molded in concrete in 1907 by Roland Hinton Perry and put in place with the new bridge bearing Connecticut Avenue over Rock Creek Park. The original lions deteriorated over the years to the point where the lions were removed from the bridge in 1993. A $598,000 TE grant, combined with $149,500 in local funds, enabled the fabrication of replicas of the original sculptures, which were installed in 2000. The Taft Bridge, built in the Classical Revival style, is also on the National Register of Historic Places.